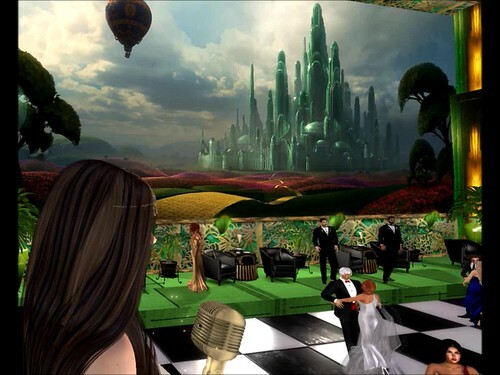 “OZ”…step back in time with us…to a place of romantic entertainment and a time of classical elegance. 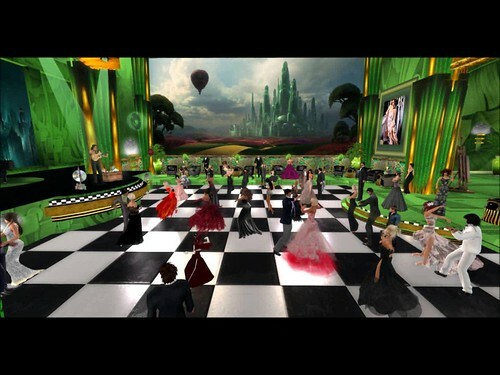 OZ Night Club is one of the most popular romantic music venues in SL. Music in the high art deco-styled night club is from the late 20s, 30s, early 40s with more recent jazz, pop and occasional country to round things off nicely. Check out this lovely story on OZ in the Metaverse Tribune. And click here for a great review of OZ opening night with great pictures! Thanks Mariko Nightfire! Thanks to Eddi Haskell for this nice critique, too!